The Manitou Springs Volunteer Fire Station was constructed in 1965. Originally the building was 35' x 44' and had enough space for two engines. An addition was built in 1985-86 that expanded the size to 70' x 44'. Our station is now home to two engines, a quick response paramedic vehicle, brush truck, water tender, two motorcycles, and a UTV. 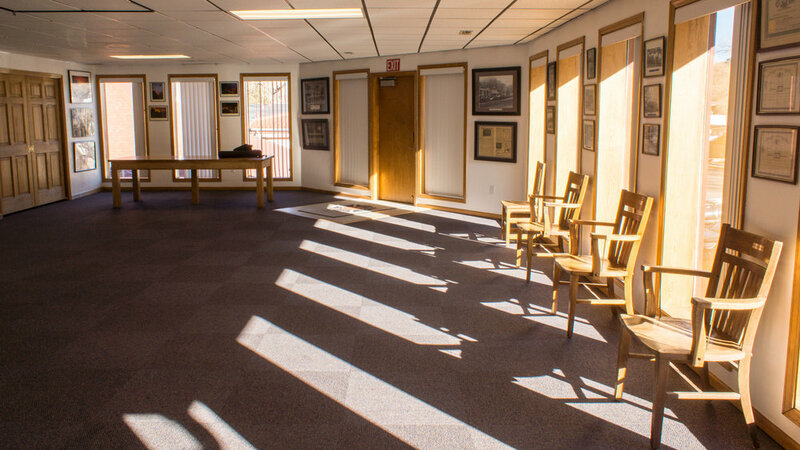 The second story of the station contains a meeting/community room, kitchen, four bedrooms, computer room, and officer quarters. In the recent years our department has undergone a major facelift to include a new roof, garage doors, and bay floor. Our station was built by the volunteers and most of the remodel was completed by our paid staff and volunteers. Engine 1010 is a 1997 Becker HME 1817 series powered by a Cummings engine with an automatic transmission. This truck is a four door with a six-person capability. It has a 1500 gpm pump with a 500 gallon booster tank Engine 1 is the primary structure fire apparatus and our first out apparatus on all calls for service. 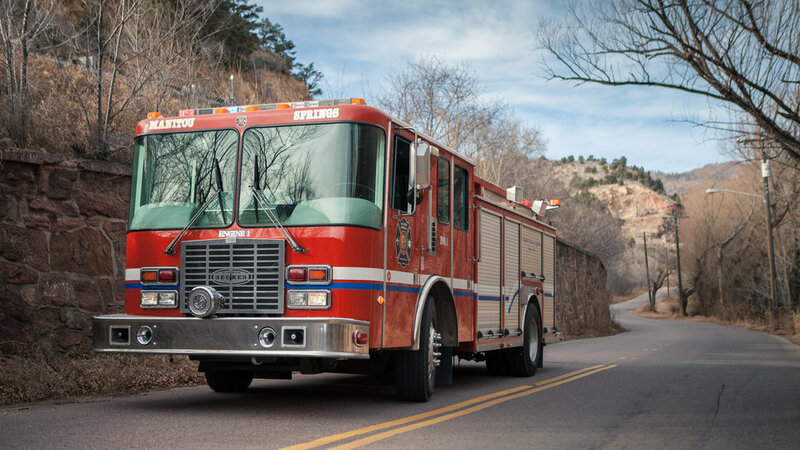 Engine 1011 is a 2016 Rosenbauer Commander engine with four wheel drive, a short wheel base, and a tight turn radius for the narrow back roads of Manitou. Medic 1070 is a Ford Explorer built as medical response vehicle for our paramedics to respond to medical calls more easily on the tight back roads of Manitou Springs. Tender 1060 is a Freightliner 7400 chassis with a capacity of hauling 2000 gallons of water for rural fires, wild land fires, and mutual aid calls. Four Honda dirt bikes with 250cc engines for responding to calls on remote trails. Polaris Ranger UTV with 6 person capacity for off-road and trail rescue calls, as well as special events. Dodge Ram 5500 Type 6 for wildland firefighting. Equipped with basic medical and high angle rescue gear.